Epic Arts uses the arts as a powerful tool for transformation that explores and celebrates the richness of diversity through creative experiences. We work with people of all abilities and backgrounds through our Inclusive Education, Community and Social Enterprise Programmes to encourage a change in perceptions and attitudes at both a personal, and public level. We promote the message that every person counts, every person is a unique and creative individual and every person is equal. We believing in integrity, understanding, acceptance, development, equality and the inclusion of all…and most of all we believe in people. 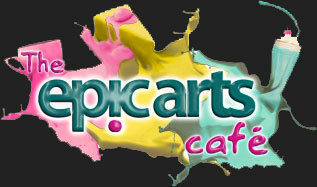 Epic Arts holds the value that every person counts and should be accepted and treated equally at the core of its work. The organisation is founded on and continuously guided by the Christian faith but does is not seek to proselytize or impose its religious beliefs on others. We respect the religious beliefs and practices in countries where we work. Our work is open to all people regardless of faith or personal beliefs, disability, ethnicity, intellect, gender, sexuality, nationality or background.